As our latest challenge comes to a close, we’re delighted to share Mathew’s journey since he started with us last autumn. Mathew has shown tremendous commitment, he doesn’t miss a session, he hits each session hard and his nutrition is pretty much on point. When you factor in all of the above you have a recipe for success. Mathew’s story is an inspiration to anyone finishing this challenge and shows what is possible when you give something absolutely everything on a continuous basis!! 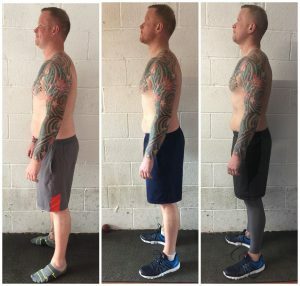 Here is Mathew’s Llanelli Beach Bootcamp story..
Llanelli Beach Bootcamp has taken my life in a different direction, changed my perception of eating healthy and training regularly, something that was desperately needed. At different times in my life I have tried fad diets, even been a member in a number of gyms, but within a few weeks, all had the same ending, it never took me long to lose my motivation and start making excuses not to go! Throughout my 20s I had never really thought of myself as being over weight and unhealthy, even as a smoker. 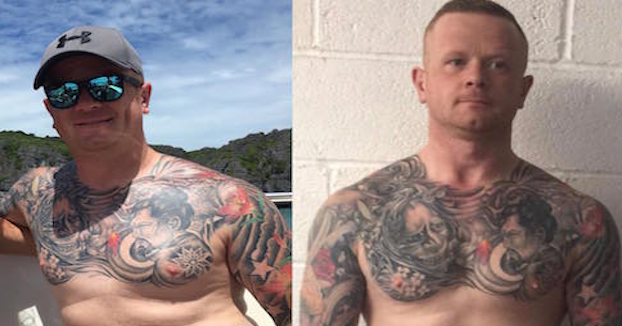 By mid 2016, couple of years into my 30s, I had finally given up my long term 20+ a day smoking habit, looking back, over the next 12 to 18 months my weight ballooned and my diet spiralled. 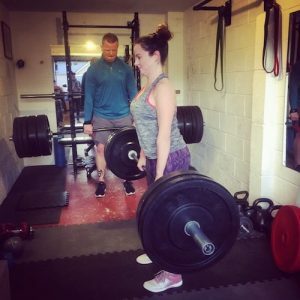 In early 2017 my wife started to have personal training sessions with Becky, I would regularly hear how fun the classes were and would often be pestered to come along, “let’s start training together” “ you should come to Becky’s with me”, were regular sentences, every time I’d shoot her down, “Not chance” “You’ve got no hope” all the while naively thinking I was in peak condition. I’m fairly fit and healthy and in reasonable shape, I don’t need to bother with all that was a regular train of thought for me. By summer 2017 I was possibly at my heaviest, tipping the scale at well over 17 stone. Whist on holiday it had finally dawned on me how unfit and over weight I had become. I would refuse to have my picture taken, as I didn’t like what I was seeing, my confidence was at an all time low and I was ashamed of myself. Something needed to change. 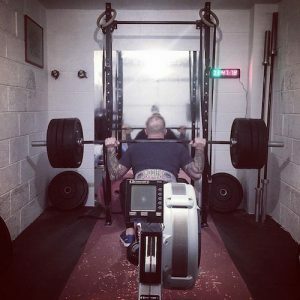 After returning from holiday, I had finally decided to bite the bullet and go along to Becky’s with my wife for some personal training, it was there I learned of Llanelli beach bootcamp, but I didn’t have to confidence to start bootcamp straight away, so for a few weeks I went along to personal training to try and build up some strength and fitness and with some encouragement and support from Becky, finally having the confidence to attend a bootcamp class. My first bootcamp class was a Sunday morning, it was eye opening, I can’t remember what the workout was, but I will always remember the encouragement from all the other bootcamp members, I never felt judged with my confidence being fragile at best that meant a lot to me. Unbelievably by the end of the session, I was looking forward to the next class. 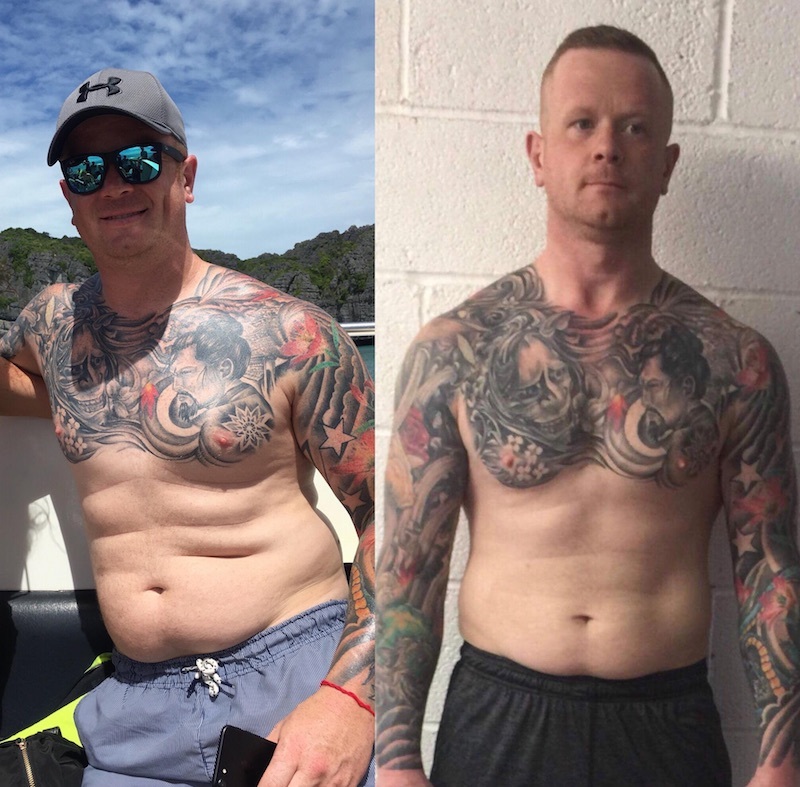 A few weeks into training I decided to try the Autumn 60 day challenge, at first it was hell, but I stuck with it and my results showed, my strength and fitness have rocketed, I’ve also lost 18kgs and a few chins in the process. 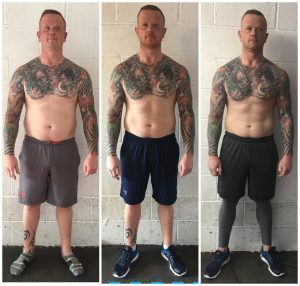 My whole outlook on diet and training has changed. 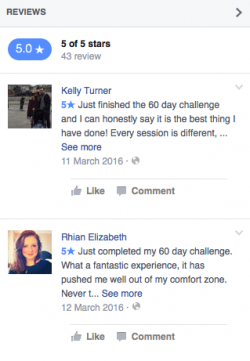 have kept up with all the bootcamp classes as well as personal training, it has now become a part of my weekly routine, more often than not my weekly routine will revolve around bootcamp classes. I can honestly say that without the encouragement and support from Becky and all the bootcamp members, I wouldn’t be where I am today physically and quite possibly mentally. I have gained new friendships with great people. 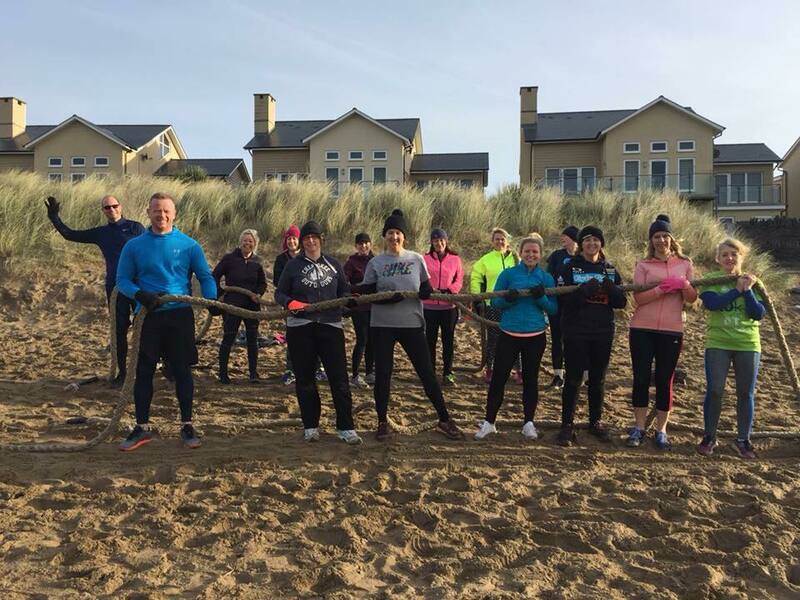 Becky is a fantastic trainer, she and Gareth work tirelessly on their bootcamp sessions, always keeping them varied and as fun as possible, because rain or shine, we are on the beach. It might be a bit of a cliché, but Llanelli Beach Bootcamp has changed my life for the better.